Boost your strategies with SmartOrder and SmartLines using extended functionalities like OCO orders and automatic trading features. 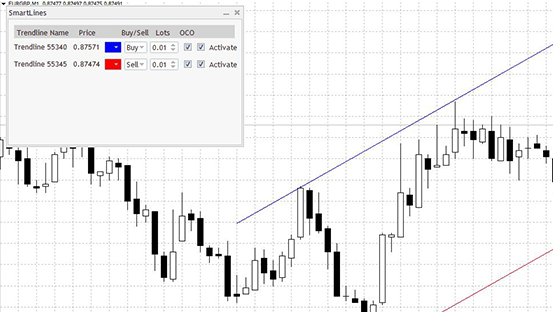 This module extends the functions of MT4 and MT5. 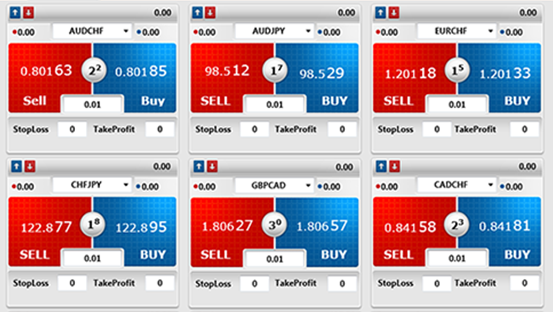 In particular, you can open and close positions with a single click and place OCO orders. You can also close and reverse all your positions with a single click and schedule the closure of your positions by equity or on a specific date. Accelerate your trading potential and targets and keep ahead of the market. This new add-on takes away the hassle of monitoring every price movement and trend formation, as it does it all for you. As soon as the price of your instrument of choice crosses the trend line you’ve set, an order is placed with no delay. This is a great tool that not only saves time and helps you to identify entry points for buy and sell orders, but also delivers a precise execution with no delay.